How can I get some lower back pain relief? The goal of any back pain treatment ultimately is to relieve pain, restore full normal movement and to assist the recovery process so that healing can be as prompt and complete as possible. Low back care should not be just about reducing pain. In addition to improving the immediate painful condition and allowing for increased movement, every element and effort of a lower back pain treatment program should be directed toward speeding the best recovery possible which is getting the injured and painful tissue the closest to pre-pain status. For this reason the use of certain drugs, and surgical procedures that are used before attempting more conservative lower back treatments is to be avoided. All drugs have side effects, some of which are more than unpleasant – they can cause new health problems that are sometimes worse than the original condition being treated, sometimes compromise the health of the individual so that a weakened immune system allows more and greater health problems that could sometimes be fatal. All surgery alters the body so that it can never the same. Any surgery is a step from which the total effects upon the body have unknown and far reaching health consequences. For these reasons it is thought that all reasonable conservative measures should not only be used, but they should be exhausted in all possible ways, before drugs and surgery are considered. It is not the use of drugs and surgery that is the problem, but their abuse that is to be avoided. Perhaps the safest, most healing, easiest to use, most cost efficient and least damaging natural treatment for simple low back pain relief and recovery are these three: rest, ice and gentle stretching exercises. While other forms of treatment also effective and worthy of use, if these three are applied promptly and used well, it is possible that no other form of treatment might be necessary. Other forms of lower back therapy can and should be used (and will be mentioned later) but think of the first three as the foundation of any effective therapy program. A very popular natural back pain treatment is used in all hospitals and is being taught in medical schools in the last decade. Treatment with acupuncture or acupressure for back pain relief can be extremely effective when performed by a skilled and experienced acupuncturist. Long-term bed rest for low back pain relief is considered greater than 72 hours. Staying in bed or on the couch longer than that is no longer considered necessary for most cases of back pain, and it is thought to be harmful to the injured tissue, causing recovery to be slower and potentially causing new problems. 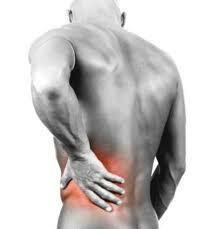 Find a position that does not aggravate your pain and stay in that position to ease your back. Try sleeping and resting with a pillow between the knees while lying on one side may increase comfort. Or try lying face up, o the back, with a pillow under your bent knees. Do not lie on an ice pack while you are resting. Some might think that placing a cold pack between you and the mattress is a good idea, but it is a bad idea. The pressure of your body weight against the ice pack will stop blood circulation where the ice pack contacts the skin, causing the area to freeze. This will cause the skin to suffer frost bite and a whole new set of problems will have to be dealt with in addition to the low back pain. There is only one posture or position to avoid while resting and that is lying on face down on your tummy. While this might feel initially comfortable, it will soon cause your neck to be so severely turned that you can develop neck and upper back problems and headaches. Lie on your back, lie on your sides, bring one or both knees up toward your chest, but do whatever it takes to find a posture that feels comforting to the back and stay that way for as long as you are comfortable. When you are too bored and too achy from lying around, carefully get up and slowly walk around to get some gentle exercise and promote blood circulation for the low back. Both cold and hot applications are an important part of any back pain treatment plan. Most people prefer to use heat because it just feels so much better than the nasty chilling sensation of a cold pack applied to the skin. But that is not important when the back is painful and needs help. Use ice packs when the pain is acute and you want relief. Use ice packs early after the back pain started while movement is painful and still difficult. Follow the instructions for using an ice pack correctly and you will do well with it. Use alternating hot/cold applications when the back pain is slightly to moderately better, and it is easier to roll over in bed and less painful to move around. Ice packs alone are used early in care when the pain is greatest and movement causes pain; but, but when slight to moderate improvement of pain and immobility is felt then switch to alternating hot/cold applications. Hot packs will dilate blood vessels and bring blood into an area (causing the area to become pink, relaxed and to have a slight amount of swelling). Cold packs will do the opposite, contracting blood vessels and forcing blood out of an area (causing the area to become pale, tense, with numbness of pain endings). By applying heat, and then cold, followed by heat, and then cold, the blood vessels in the area of pain are being dilated and then contracted, dilated and then contracted, etc. It is similar to an area being filled and then emptied with blood, over and over again, like it is being repeatedly pumped up and then deflated. This is beneficial for the recovery of the injured back and you will immediately feel better after doing it as instructed. How to make a hot pack – Fill a hot water bottle with very warm water that will not burn you when left in place for several minutes, or heat up a water-proof heating pad to a safe level that will not burn you when left in place for several minutes. Soak a small towel in very hot water and wring it out so that it is just damp – but hot. Place this hot damp towel over the most painful area of the back. Immediately place either the hot water bottle or the water-proof heating pad on top of the hot damp towel to keep it hot. The hot pack should be large enough to cover the area of your low back pain. How to make a cold pack – Use either a commercial gel pack that has been in the freezer for a few hours, or fill a plastic bag with 8-12 ice cubes and a half cup of water and seal it or tie it so water will not leak out. Place two sheets of paper towel – not cloth – on top of the gel pack or ice bag to act as a thin insulator to protect your skin. You do not want to place raw ice on the skin because it will freeze it and this will cause new problems for you. Place this cold pack over the most painful area of the back, with the two sheets of paper towel between your skin and the ice. Within the first five seconds you should feel a rather strong sensation of cold that builds up quickly. If you do not feel a rapid chilling sensation you have too much paper insulating you from the source of the cold, so remove a little bit and try again. The cold pack should be large enough to cover the area of your low back pain. How to use alternating hot and cold packs – You will start with a hot pack and end with a cold pack no matter how many times you alternate; begin with heat and end with cold. Apply the hot pack over the most painful area of the back, and leave it there for no more than five minutes. At the end of the five minutes with heat, immediately replace it with a cold pack, and leave it there for no more than five minutes. At the end of the five minutes with cold, immediately replace the cold pack with the hot pack, and leave it there for no more than five minutes. You should leave each hot pack and cold pack in place for only five minutes each, and you should rapidly switch from one to the other when the five minutes is up. It helps to ask someone to do this for you if possible. You should do this at least four cycles to get the greatest benefit – hot, cold, hot cold, hot, cold, hot, cold – this should take you 40 minutes from beginning to end if you use each for one five minutes. However, you can do it for more than four cycles if you like the way it gives you lower back pain relief and relaxes it. There is no limit to the amount of time you can do this alternating routine, back and forth with hot and cold as many times as you wish. Movement and exercise as a separate treatment of low back pain is essential. Exercise is a key element of any lower back pain treatment plan. Of the three forms of exercise that will assist your low back recovery – strengthening, stretching and aerobic – at the beginning the best, safest and only one to do is stretching. During the acute phase of treatment the best kind of stretching is done slowly while moving a very small degree or amount; sometimes when the pain is very severe the amount of movement might not be noticed by someone watching you – but you will feel it if your problem is severe. Any small – tiny – amount of soft tissue stretching that would not amount to anything and would not be noticed when you are feeling good, will do a great amount of good for you for low back pain relief. Start with your body in a neutral position that does not aggravate your back pain. Very slowly and carefully move your body in a direction that just begins to create a slight dull ache and hold it there for 10-20 seconds. Return to the same neutral starting position and assess how the stretch affected your back: If the back pain is worse, then your stretch was either too far, or too strong, or too long. Rest for a few minutes and try again with a reduced stretch based on what you learned from the first stretch. However, if the back pain is better or at least no worse, then return to that position with the same amount and degree of stretch and hold it there your stretch was either too far, or too strong, or too long.